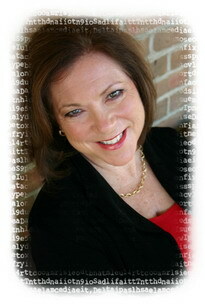 Pathways for Healing programs are founded and taught by Carol DeSanto M.A . and Jim Kepner Ph.D.
Carol DeSanto M.A. is a psychotherapist in private practice working especially with recovery issues, health and healing. She has a special interest in energy healing for cancer and chronic illness. Jim Kepner Ph.D. (James Kepner) is a psychologist in private practice in Cleveland and on the professional staff of the Gestalt Institute of Cleveland. He is the author of the books Body Process: a Gestalt approach to working with the body in therapy and Healing Tasks: psychotherapy with adult survivors of childhood abuse. 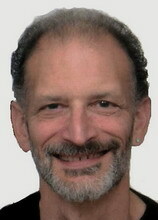 He teaches Gestalt Body Process Psychotherapy internationally. Subtle energy practice, perception and theory lie at the heart of the emerging paradigm of energy medicine and Jim Kepner and Carol DeSanto have a unique talent for making this otherwise esoteric realm clear and practical. Carol and Jim create a wonderful learning environment in which energy workers at all levels to grow and learn through physical exercises, theory and demonstration, hands-on healing practice and experiential exercises. They are known for their humor and light-hearted approach to deep and subtle issues. They are the co-developers of Nervous System Energy Work based on the work of healer William Gray. Jim and Carol have been students of Rev. Rosalyn Bruyere, a noted energy healer and spiritual teacher and are ordained in her way of healing. They have taught energy and healing classes together since 1985.